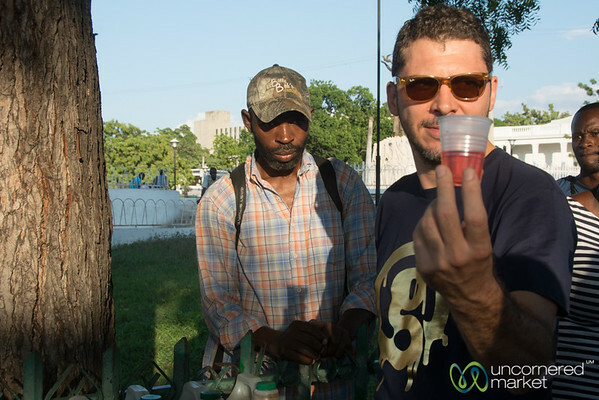 Haitian food and markets from around the country, includes street food and other local Haitian cuisine specialties. 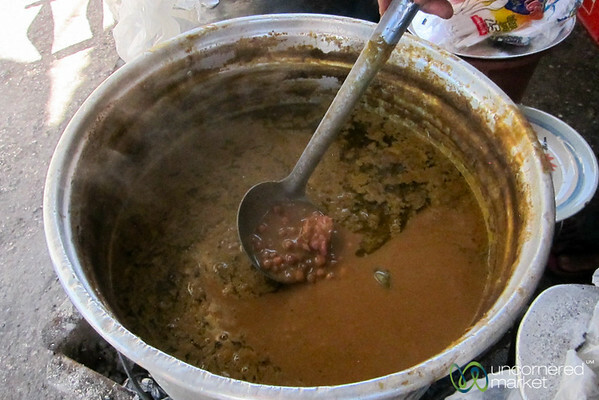 Haitian street food serving up cornmeal with beans and stewed chicken (mayi moulen ak sòs pwa, poul an sòs) in Port-au-Prince, Haiti. 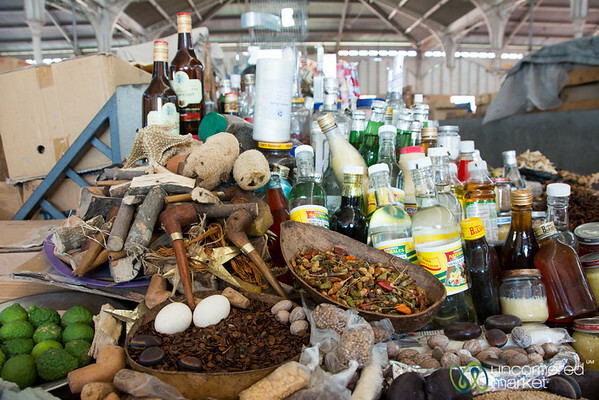 A typical stand selling an assortment of spices and bottles at Marché en Fer in Port-au-Prince, Haiti. 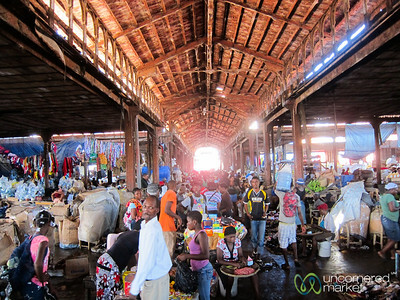 The bustling scene inside Cap-Haïtien's market on a Sunday morning. Haiti. 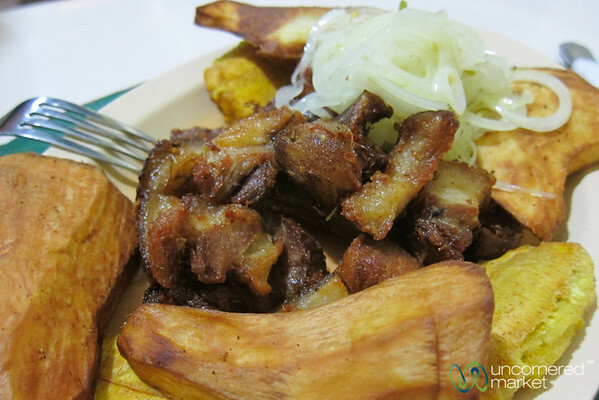 A hearty plate of griyo ak pikliz (fried pork with pickled onions and chili peppers) in Port-au-Prince, Haiti. 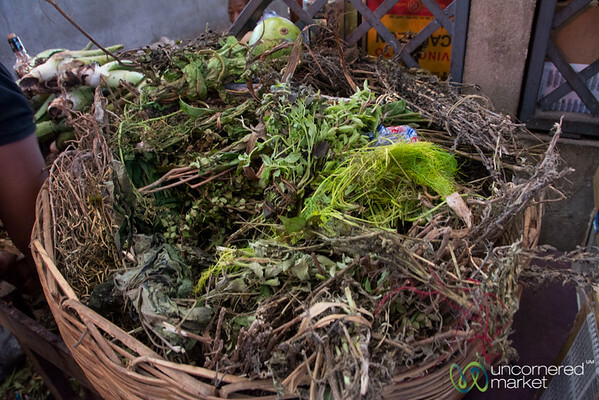 A basket of herbs used to make medicinal teas. Marché en Fer in Port-au-Prince, Haiti. 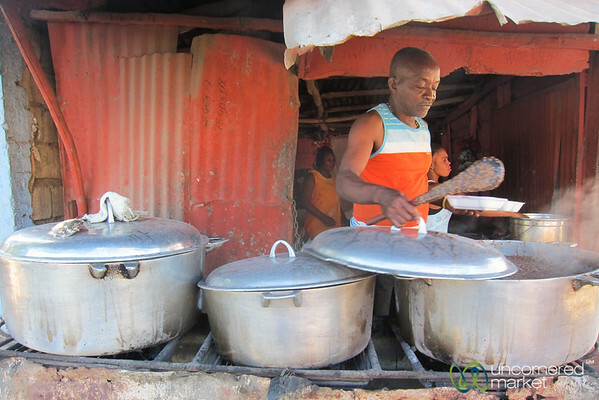 A typical Haitian street food stand on the streets of Jacmel, Haiti. 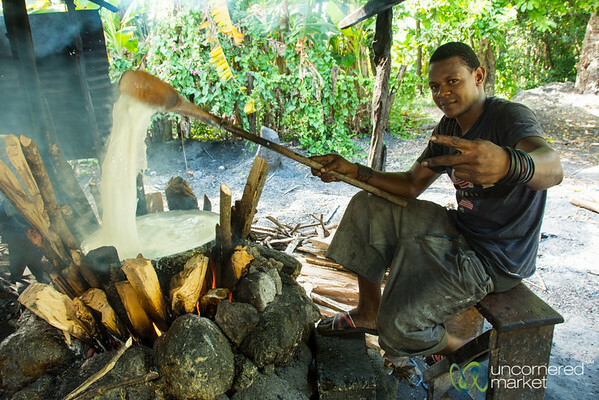 Turning the sugared milk mixture to make dous makos, a Haitian cream fudge. Delicious and rich, only made in Petit-Goave, Haiti. 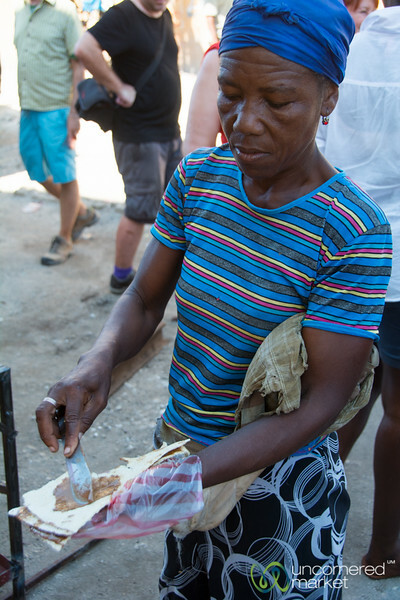 A typical Haitian snack on the streets of Port-au-Prince is casava bread with spicy peanut butter (Kasav ak manba). 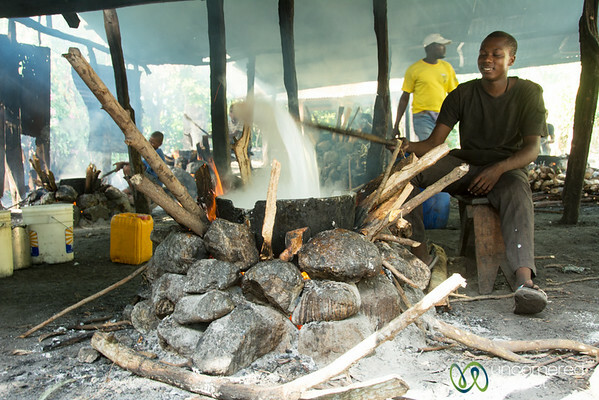 Turning sugar milk mixture to make dous makos, a Haitian cream fudge. Delicious and rich, only made in Petit-Goave, Haiti. 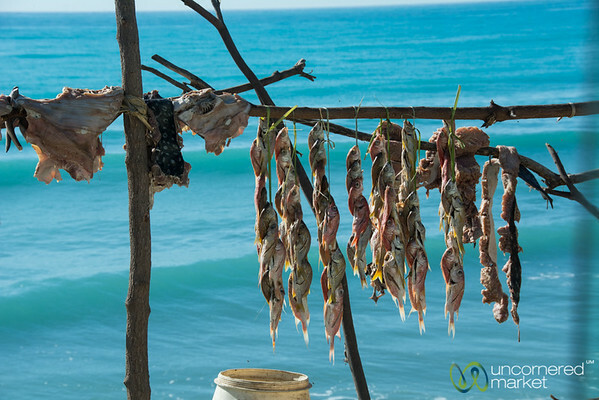 Fish drying on the coast near Jacmel. 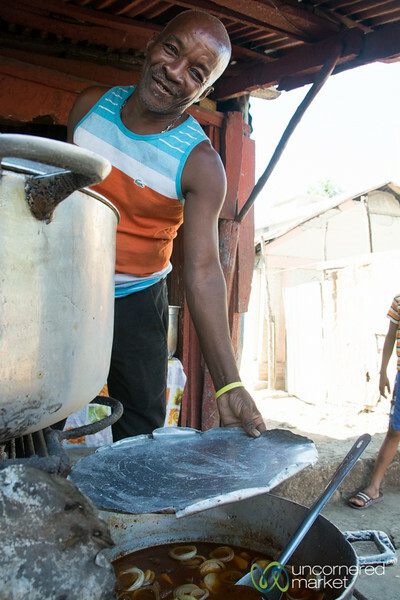 This is used in traditional Haitian breakfast of dried fish with plantains (pwason seche ak bannann). 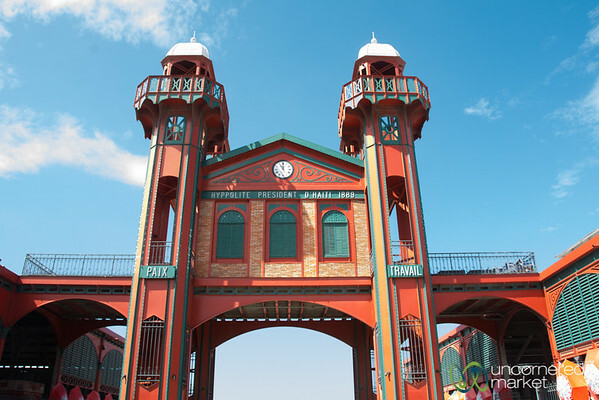 The grand Marché en Fer in Port-au-Prince, Haiti is full of food, art, and Vodou accessory vendors. Great fun. 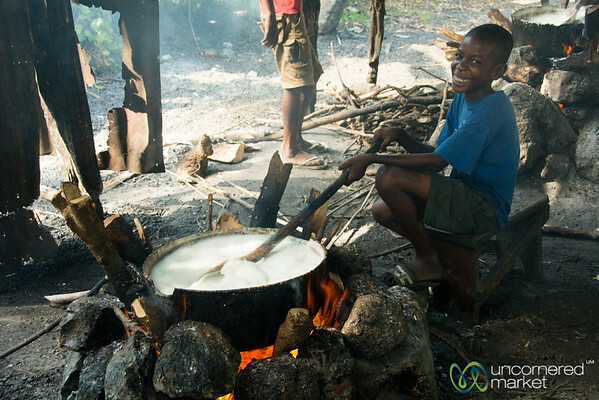 A boy stirs a big pot of cream mixed with all sorts of sugar and other goodies to make Dous Makos in Petit-Goave, Haiti. 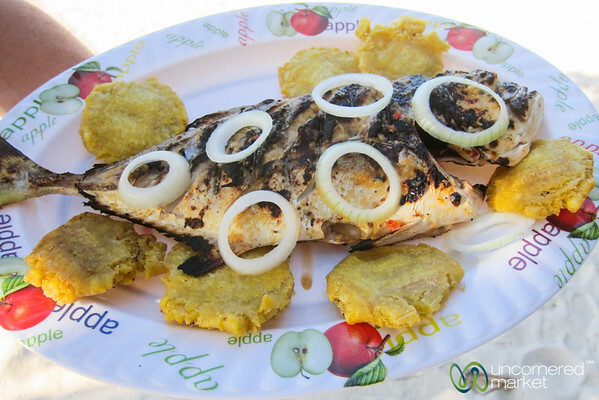 A beautifully grilled fish straight from the fishermen at Point Sable near Port Salut, Haiti. 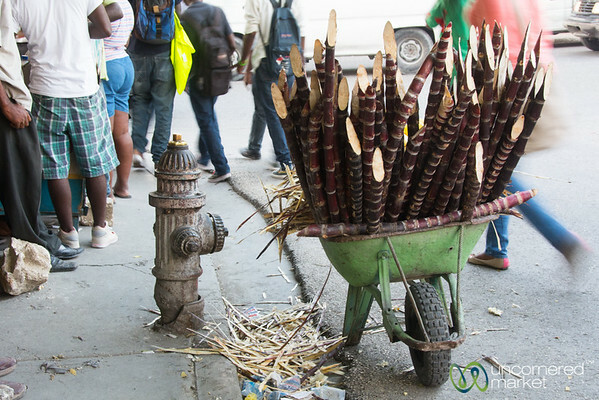 A barrel of sugar cane for sale on the streets of downtown Port-au-Prince, Haiti. 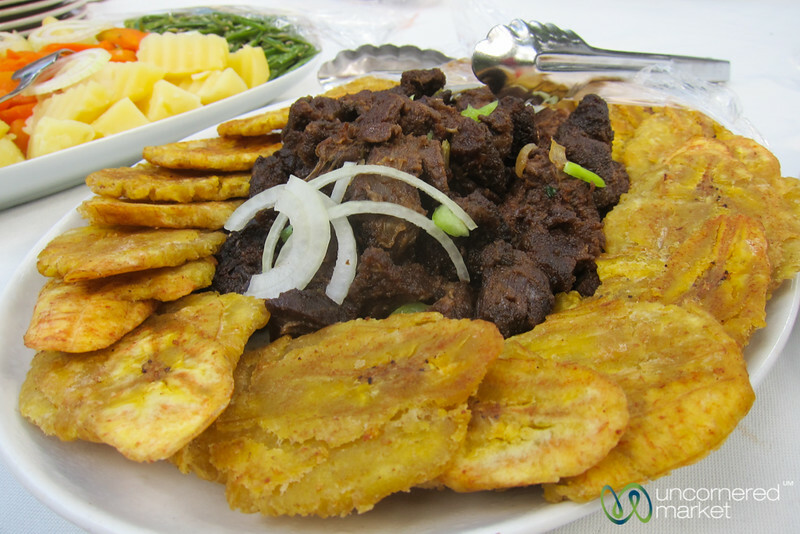 A typical Haitian dish of fried dried beef with fried plantains (taso vyann bèf ak bannann peze) in Cap-Haïtien, Haiti. 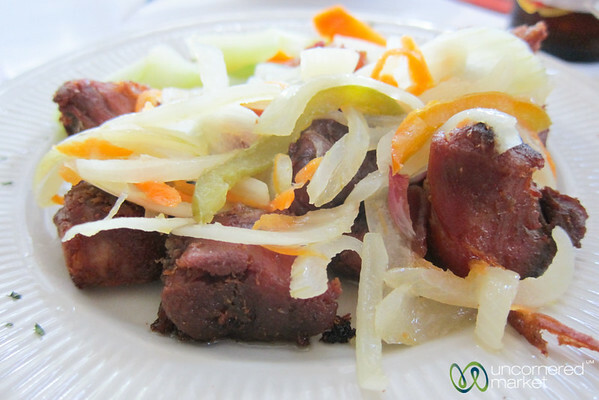 A typical Haitian meal of griyo ak pikliz (fried pork with pickled, spicy onions) at 5 Coins in Port-au-Prince, Haiti. 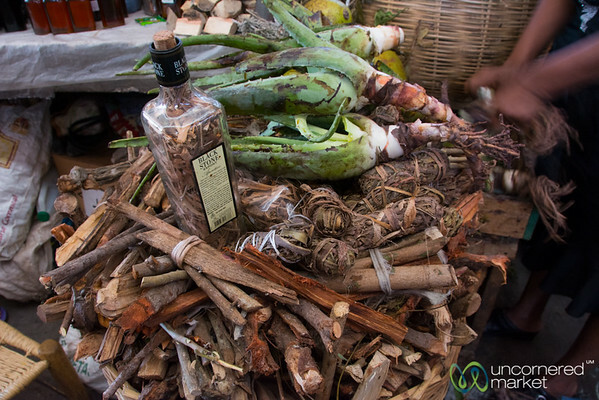 Traditional medicines and remedies for what ails you at the Marché en Fer in Port-au-Prince, Haiti. 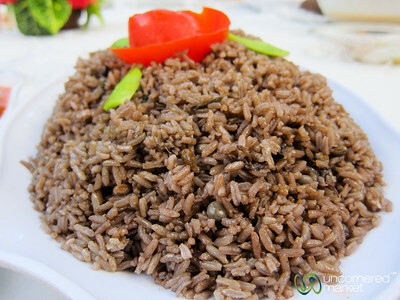 A typical Haitian dish of diri djon djon (rice with black mushrooms) in Cap-Haïtien, Haiti.